39 and Holding Club: Oh My, Oh May - Mothers and Towel Day! Oh My, Oh May - Mothers and Towel Day! If it’s your birth month, you’re a mom, love flowers, or enjoyed The Hitchhiker’s Guide to the Galaxy, this is your month! At 39AHC you know we always find a reason to party – first and foremost, someone turns 39 and Holding every seven seconds of every day! 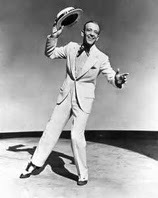 26th: World Lindy Hop Day – well, it’s spelled differently, but my dance instructor mom still named me after the dance! May is the dominant Spring month, when flora blooms and fauna awaken to a morning haze, which is appropriate, as May’s name origin is a bit fuzzy too. Why ... ? Some say it honors the Greek goddess, Maia, who was closely aligned with Bona Dea, the Roman goddess of fertility. I however, prefer the Roman poet, Ovid’s, take on it. The May lily, or lily of the valley, is lovely, and in the world of birthday meanings, it implies harmony, humility, and all is right with the world. Ah – such ravishing deceit. If you can’t resist presenting your May honey with a handful of the pretty white flowers, make sure your loved ones (pets included) don’t eat them! Every inch of the dainty flower is extremely poisonous. But an attractive arrangement of quality silks from your local craft shop might work! Or, perhaps a desirable emerald gemstone is a better (albeit pricier) gift choice. The sparkling green gem was a royal Egyptian favorite, probably because it’s said to bring the wearer foresight, good fortune and … youth! So is May your birthday month? Alright you earthy Taurus or split-personality Gemini, let’s do it up right! The spotlight is on discerning Taurus toasting with fine wine through the 20th. But soon, Gemini starts hogging the attention and “they” are hard to ignore. The twins’ loquacious energy is contagious … claiming they’re only 39 and Holding!